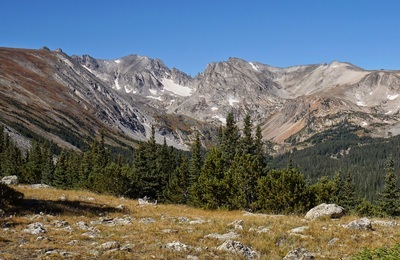 Directions: From Boulder, follow 119 through Boulder Canyon west to Nederland. 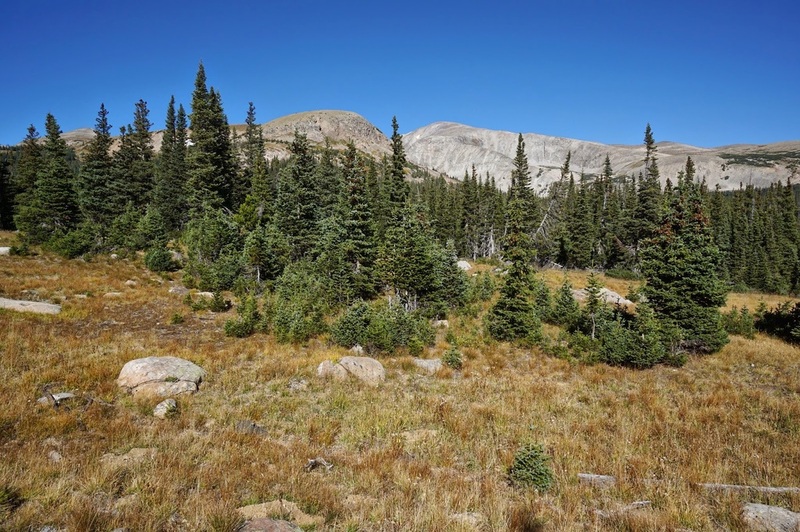 Go through the traffic circle and head north on 72. 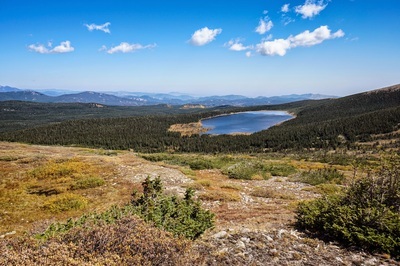 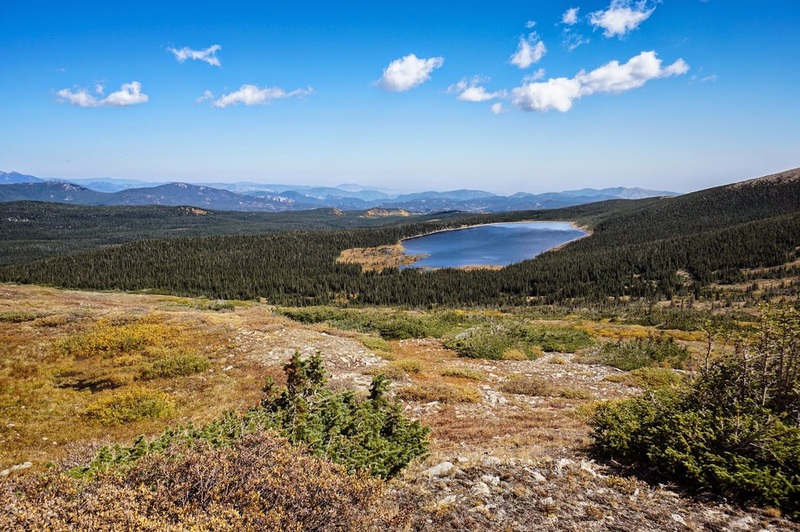 Travel on the Peak-to-Peak Highway through the town of Ward and look for the sign to Brainard Lake. Turn left (west) onto Brainard Lake Road and follow it to the Entrance Station. 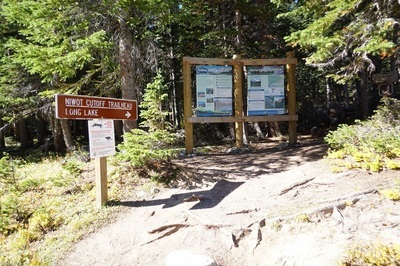 Drive to the Niwot Cutoff Trailhead and small parking area. 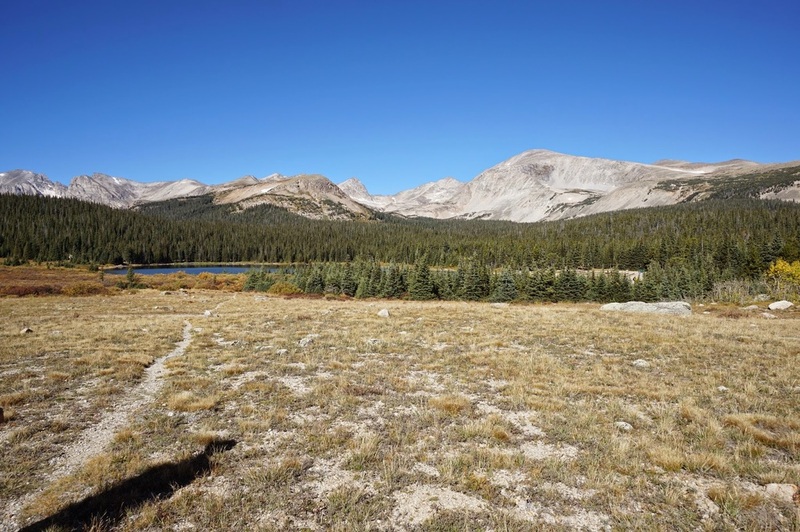 You can also park at the large parking lots east of Brainard Lake and walk .5 mi to the Niwot Cutoff Trailhead. 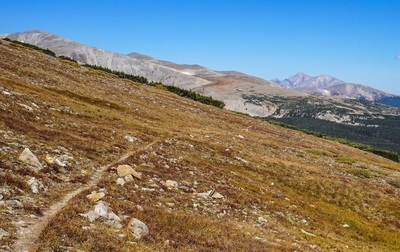 The Niwot Ridge Trail is simply spectacular. 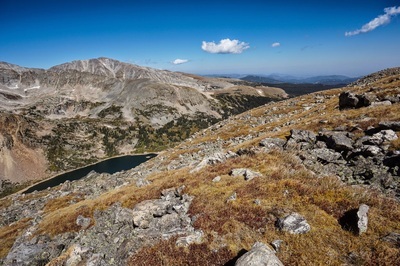 The view from the top of Niwot Ridge has to be one of the best views of the Indian Peaks that you can get. It's an interesting view because you are not looking down on the peaks (as if you climbed Mt. 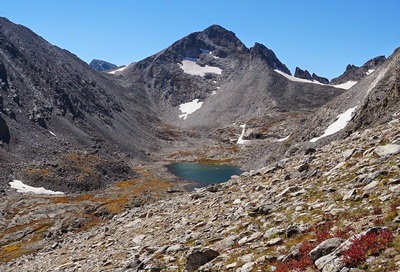 Audubon) you are almost eye level with the peaks. This makes for a unique and inspiring view of the Continental Divide and the Sawtooth Ridge above Isabelle Glacier. 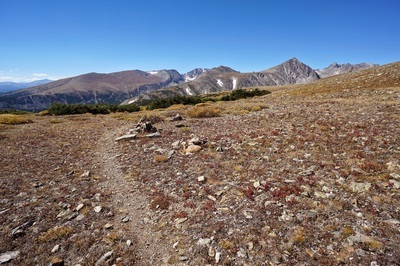 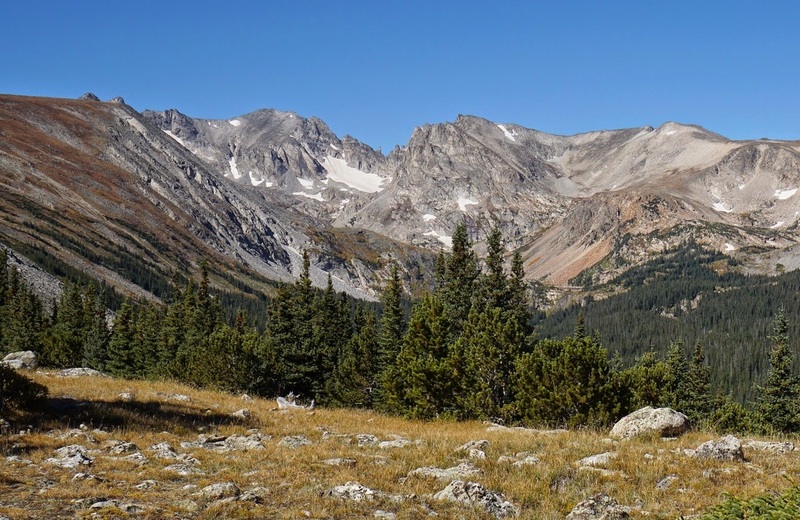 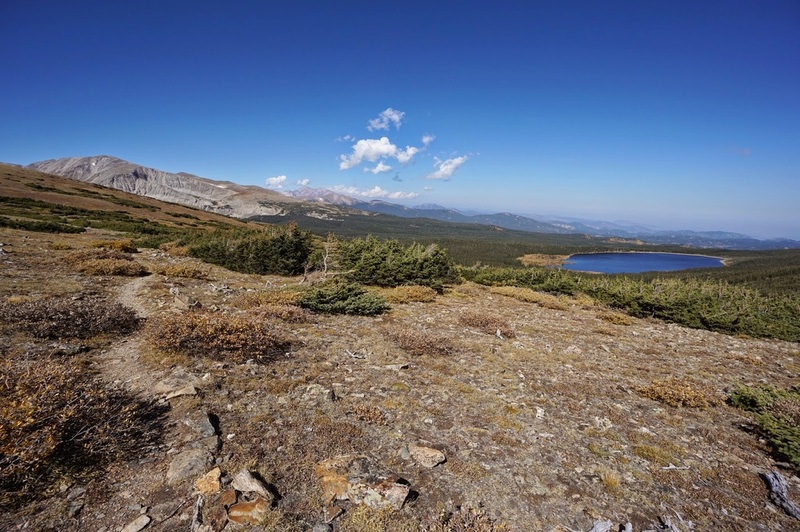 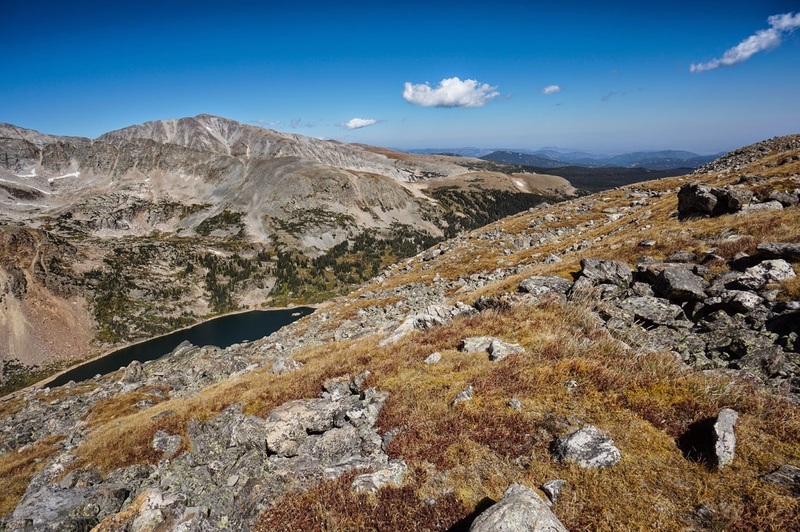 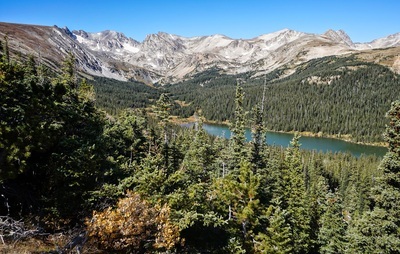 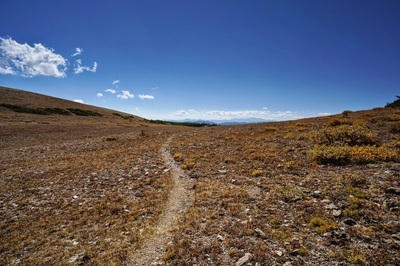 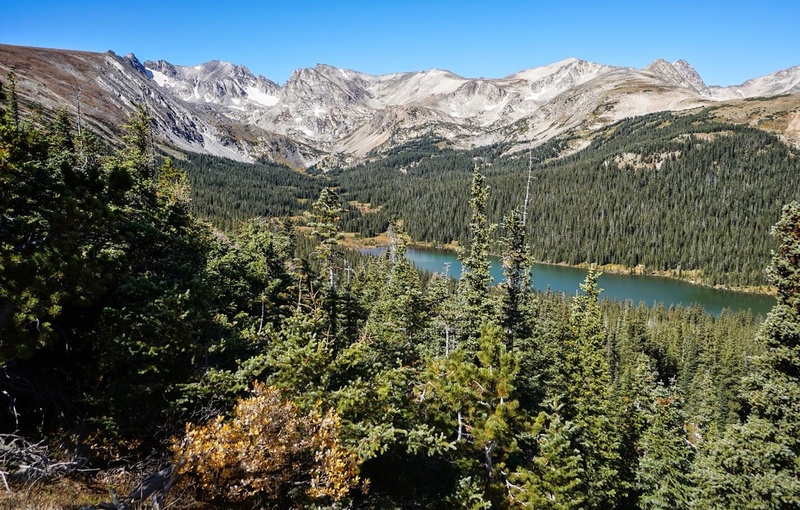 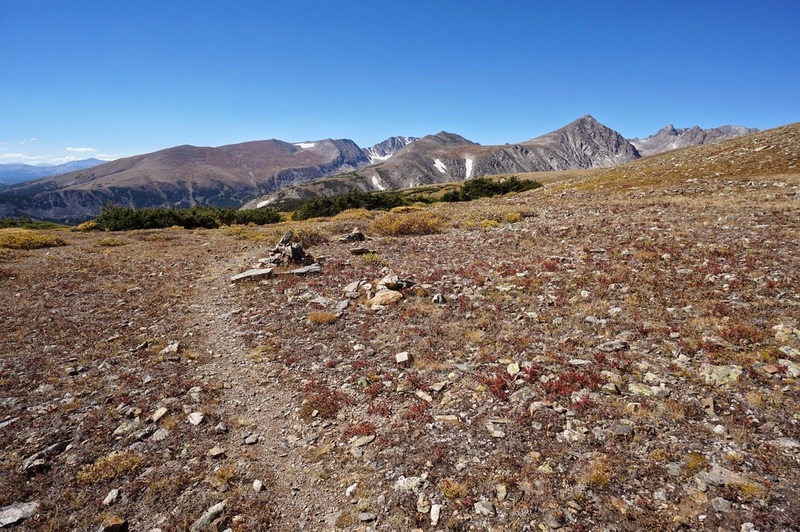 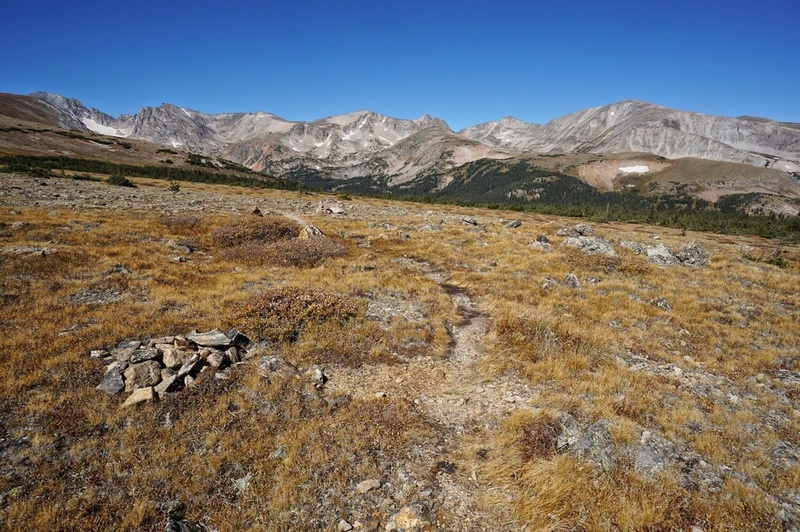 From the Niwot Cutoff Trailhead, proceed through the pine forest until you pop out into a meadow just before Long Lake and the Indian Peaks Wilderness boundary. 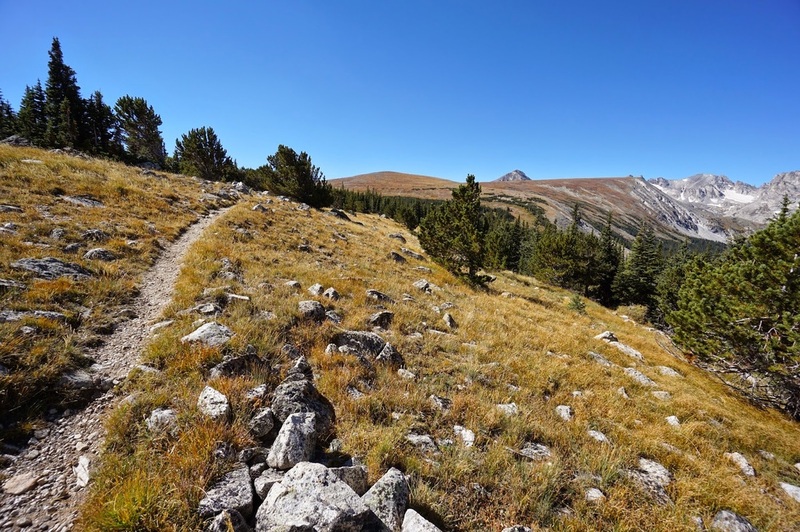 Hook up with the Jean Lunning Trail and take this for just a short while over some boardwalks. To your left you'll see an unsigned but obvious single track trail heading south into the forest. 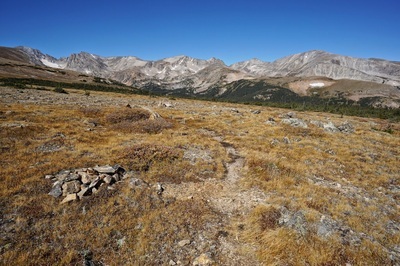 This is the Niwot Ridge Trail. The first mile or so switchbacks up through pine, spruce, and finally barren old pine trees (Bristlecone?). 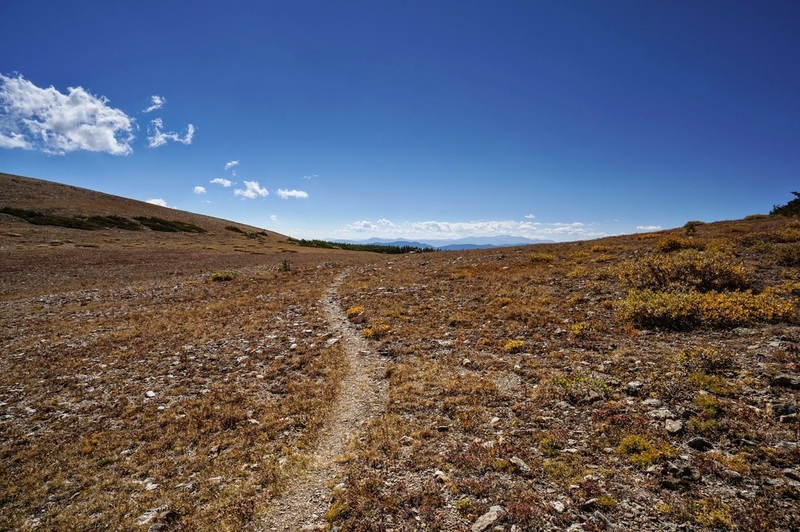 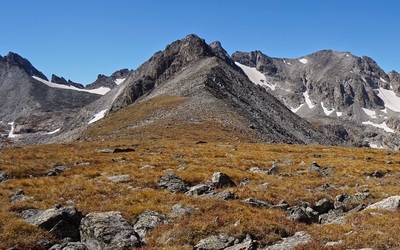 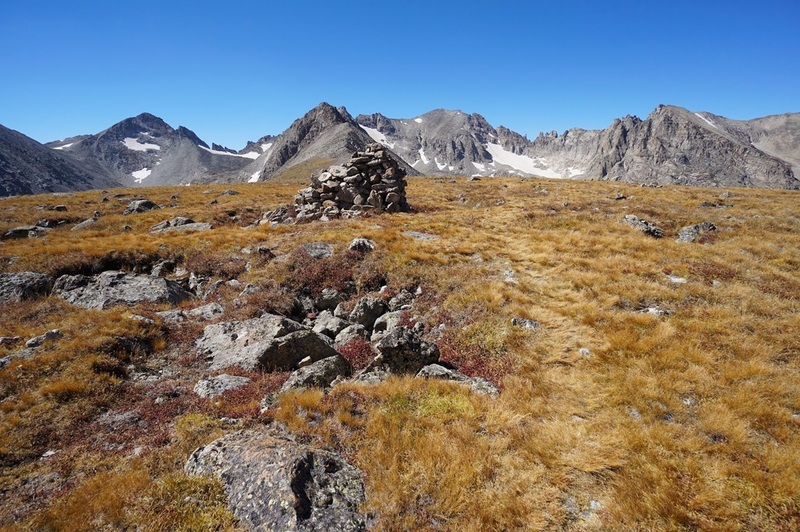 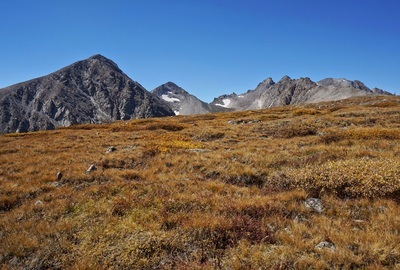 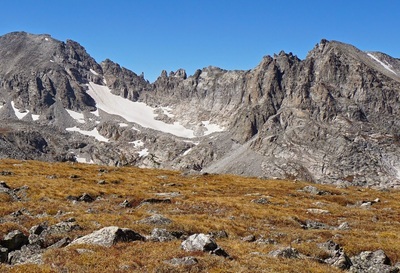 Once you gain the ridge, travel south over open tundra and scrub oak strands until you reach a small pass with Lefthand Reservoir off to your east. 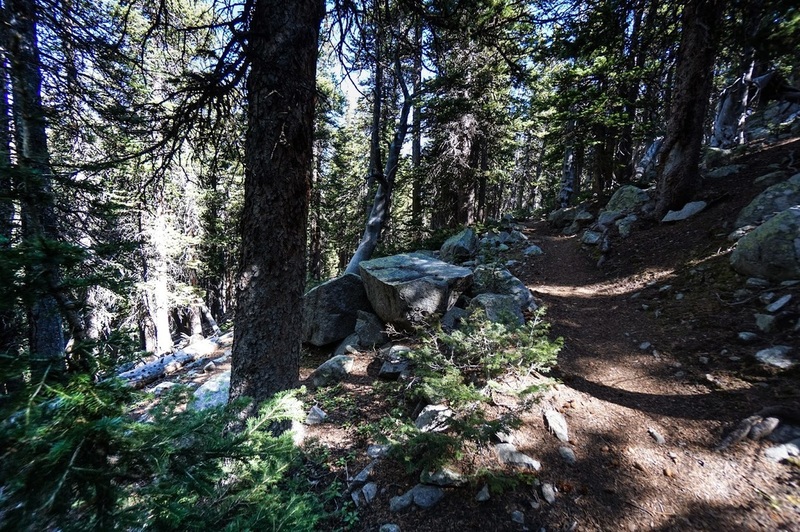 From here head down the trail that leads you to a dirt service road. 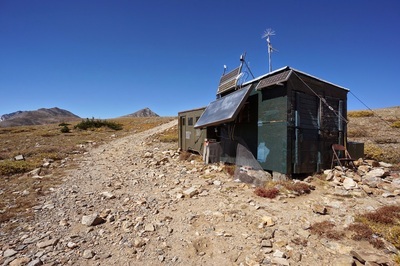 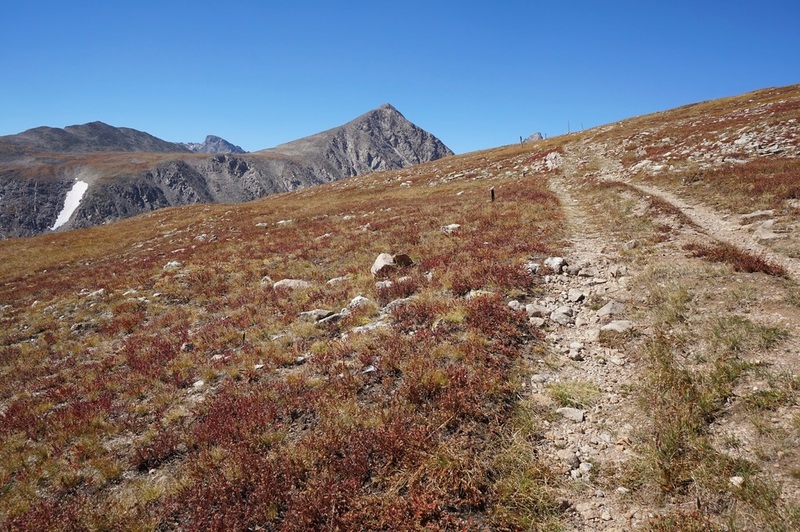 This road is meant to service the various research stations located on Niwot Ridge which are part of a Biosphere Reserve, please respect the work they are doing and stay on the trail. 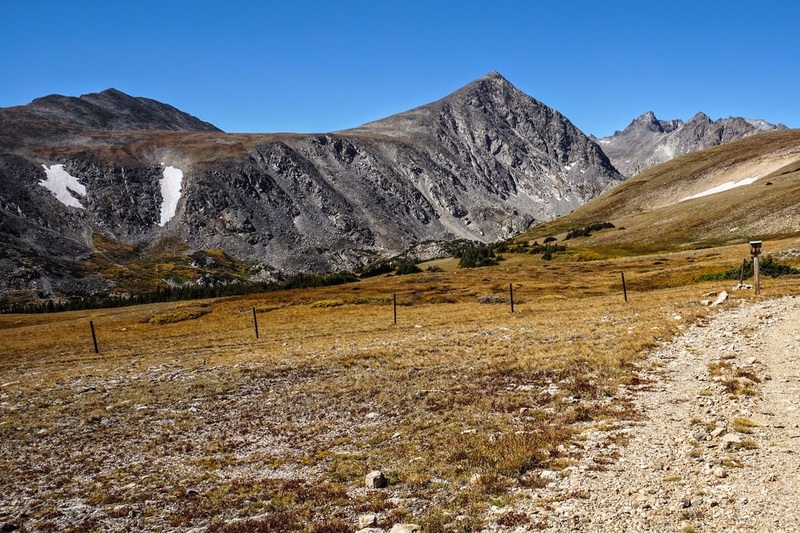 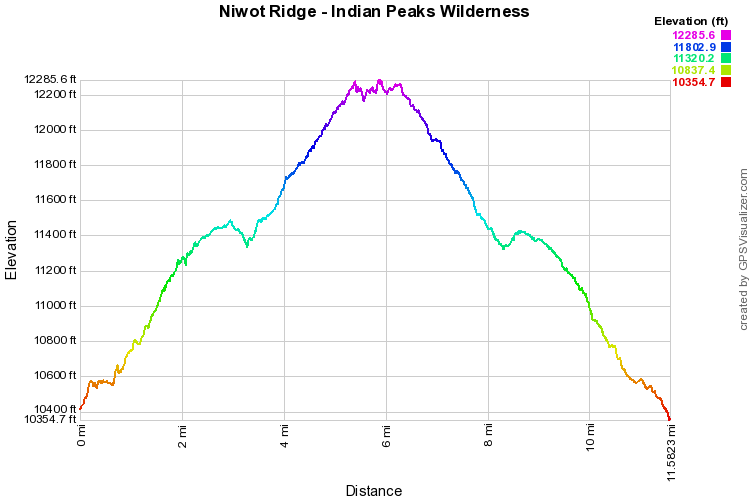 The road climbs steadily along the southern edge of Niwot Ridge where Kiowa Peak makes its 13,000+ ft presence known. Continue up past various stations until you reach a level area with a large Kairn marking the end of the trail. 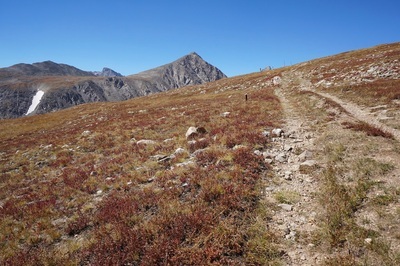 This point is about 5.4 miles in. 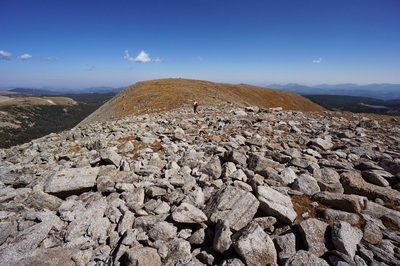 From here you can continue to explore the ridge off trail. 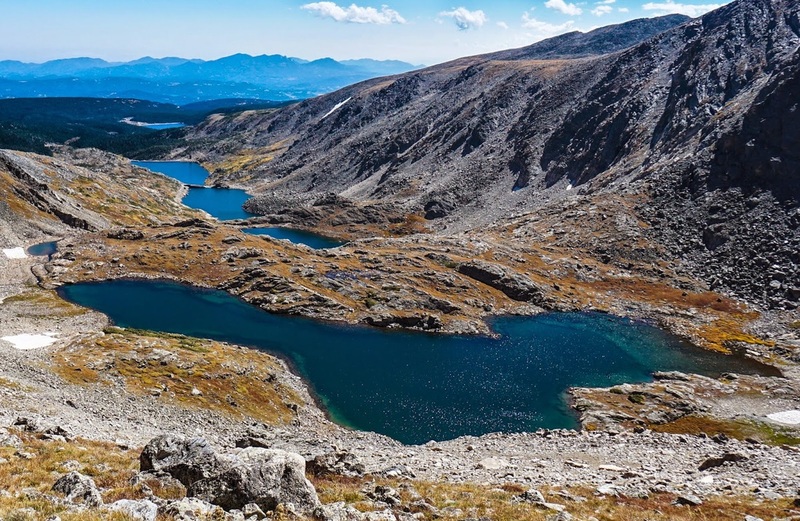 This spot is amazing and either way you look you'll be rewarded with tremendous views. I recommend making a loop on the tundra starting at the cairn. 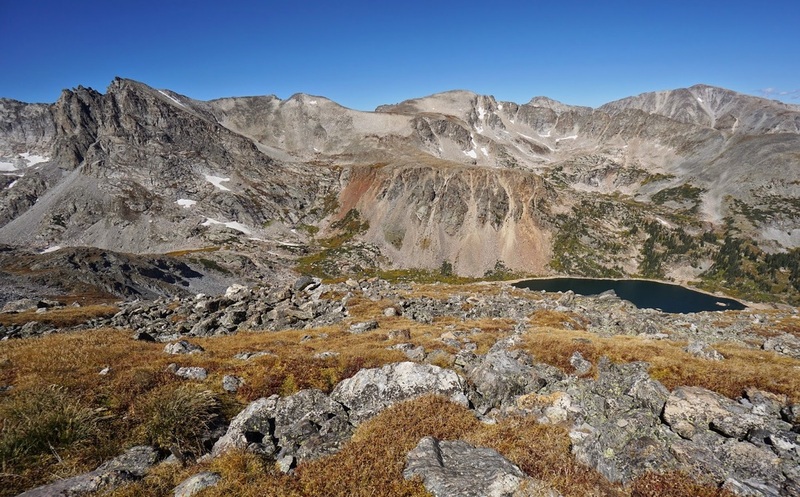 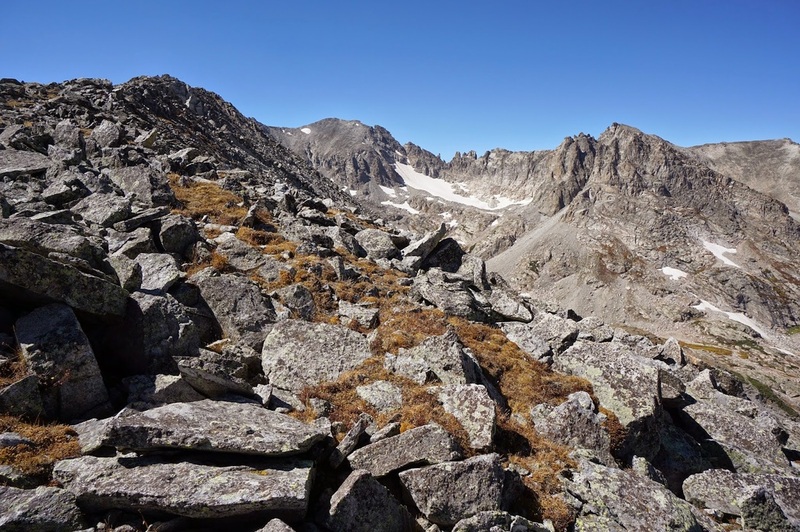 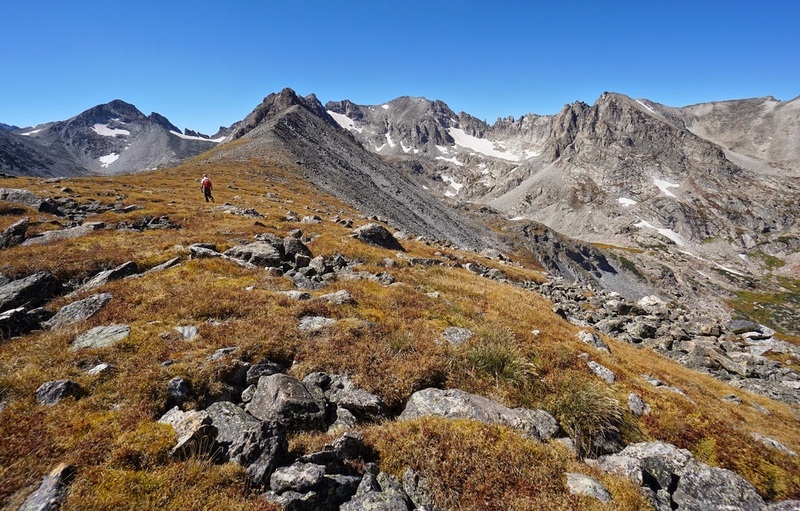 Head north to get a great view of Lake Isabelle, Isabelle Glacier, Shoshoni Peak, Apache Peak, and Navajo Peak all linked together by one hell of a sawtooth ridge. From here circle around to the south where you will get a rare glimpse into the Green Lakes Basin, which is off limits as it constitutes Boulder County Watershed. 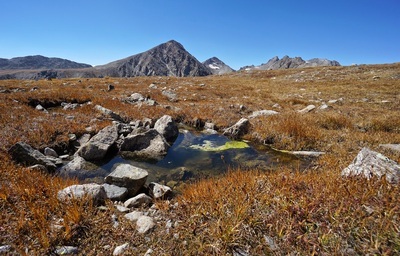 This basin consists of a stunning series of about 6 pristine alpine lakes...the Green Lakes. 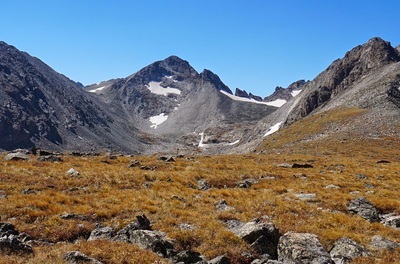 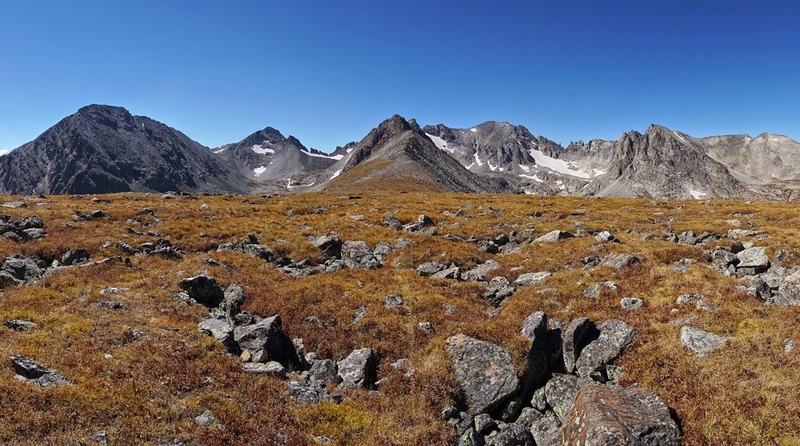 Up-valley is a wonderful alpine cirque of Kiowa Peak, Arikaree Peak, and Navajo Peak. 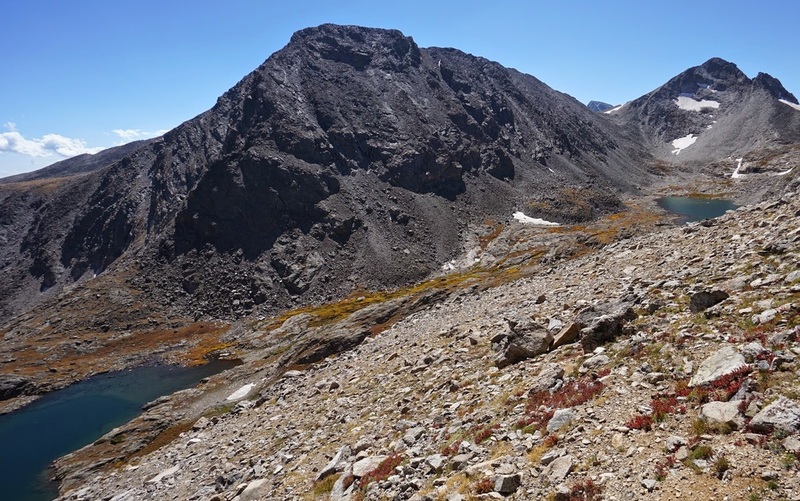 The best thing about this hike is that it is relatively unknown. 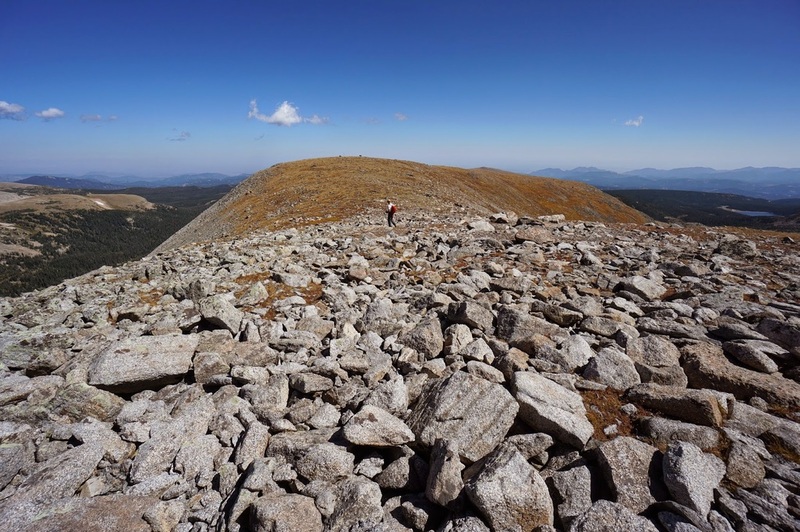 While there will be throngs of people at Brainard Lake, Long Lake, and Blue Lake, there will be almost no-one on Niwot Ridge.